Take the motorway to Grenoble, then the A480 motorway direction Sisteron/Gap, take exit N°8 « Vizille – Stations de l’Oisans ». Continue on the D1091 to Bourg d’Oisans, then the D211 to Alpe d’Huez. 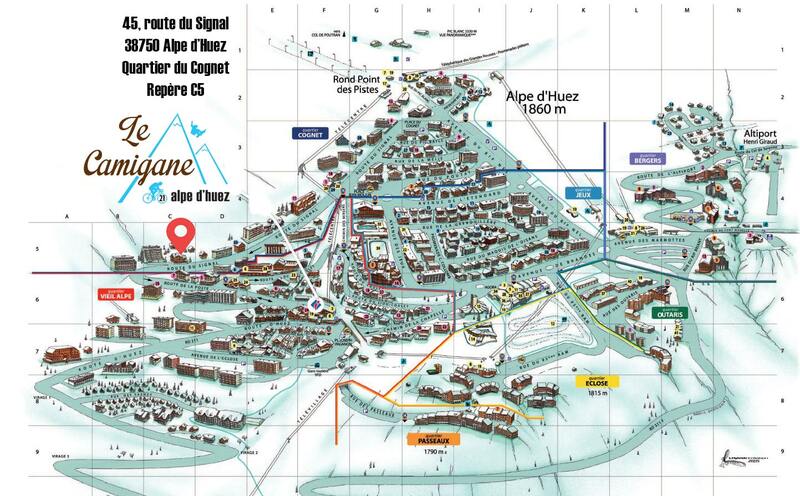 Bus transfers from VFD coach stop at Grenoble station or Alpe d’Huez station. Train to Grenoble then transfer bus from VFD coach stop.